Prior to founding Joyful Birthing in 2014, I taught high-school English for ten years and earned my master’s degree from Middlebury College. When I became pregnant with my first child, I took a HypnoBirthing class, which sparked my passion for safer, more informed and empowered birthing. After the power of my birthing experiences, I left my career as an educator to pursue my passion for birth work and have since earned certifications as a HypnoBirthing Practitioner, birth doula, and lactation counselor. I am passionate about all things birth and baby but especially empowering women and their partners to make informed decisions about their birthing, to approach birth with a sense of trust and calm, and to ultimately have a safe, joyful birthing experience and a successful transition into the new demands of parenthood. I believe that proper education, preparation, and doula support during labor and birth can make all the difference and can lead to what I always wanted for myself: an empowering and joyful birthing experience. Each and every birth I attend– whether natural, epidural or Cesarean– humbles me. Time and time again, I am awestruck by the beauty of birth and so deeply proud of the courage, love, and perseverance of each and every mother. Since 2014 I have attended over 75 births, taught HypnoBirthing® to over 200 couples, and have expanded Joyful Birthing, LLC to include a team of women dedicated to supporting women, their partners and babies, offering Nutritional Advice, Postpartum Support, and a variety of classes and workshops focused on providing up-to-date, evidence-based information. It is a great honor to be of service to women and their families during such a special time. In January 2018 the Boston Voyager Magazine featured me as one of Boston’s most inspiring entrepreneurs. Check it out the full article here: Boston Voyager Magazine. 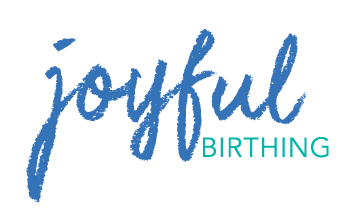 My philosophy as the founder of Joyful Birthing is that it is your birth and baby, so only you can determine what is best. Our goal at Joyful Birthing is to help our clients understand the many choices available to them so they can make informed, autonomous decisions for themselves and their child. With compassion, respect, and without judgment, we will support all of your choices and help you seek a positive birthing and early parenting experience. As founder, I am always striving to offer ample access to valuable resources and to expand Joyful Birthing to meet the growing needs of our clients. I am blessed to have a team of remarkable women working alongside me to expand Joyful Birthing’s offerings and support. All team members share the vision and passion for helping women and their partners achieve healthy, empowering pregnancies, births, and a successful transition into the joys and demands of parenthood. Katharine Murphy graduated from Boston College and received her Masters in Clinical Social Work from Simmons College. 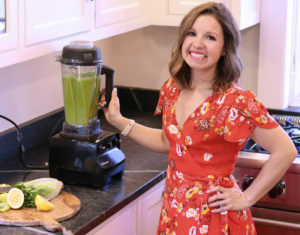 Katharine’s health journey began when transitioning to a whole foods diet relieved many of her mild, nagging symptoms like bloating and blemishes. Her first baby had some health issues (food allergies, eczema, ear infections, asthma), which really ignited her passion for nutrition, health and wellness. In a dual effort to find him healing and help others, she attended the Nutritional Therapy Association, received her certification as a Nutritional Therapy Consultant, and started her own practice. She now finds so much joy in supporting mamas-to-be and new mamas in making the best food and lifestyle choices for their own bodies, babies, and families! Becca is a trained toLabor birth doula, researcher, and mom to three fantastic kids. She worked as a volunteer doula at Brigham and Women’s hospital with young mothers and is currently the president of NAMMA Families, a perinatal professional organization that seeks to connect families with local resources. Becca brings a calm positive energy to pregnancy, labor and birth. She trusts in a mother’s intuition and has patience for the process of birth. She is collaborative in nature and works seamlessly with the entire care team, including non-birthing parents, nurses, midwifes, and OBs to provide an environment in which her clients feel safe, loved, and empowered in any birth setting (hospital, birth center, home). Becca’s own three positive birth experiences led her to doula work and her joy of working with families has kept her in this space. 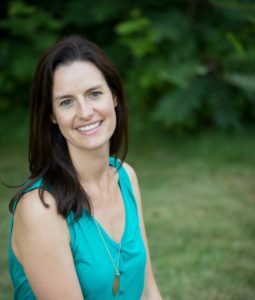 Stephanie is a trained DONA International birth and postpartum doula, currently working toward becoming a HypnoBirthing® Practitioner. She worked as a volunteer doula at Massachusetts General Hospital with low income and at-risk patients before joining Joyful Birthing in the spring of 2018. Stephanie recently completed her training with Spinning Babies® and is rapidly expanding her practice as a birth and postpartum doula. Working as a nanny for 9+ years prior to becoming a doula, she has extensive experience supporting families with very small children and knows first-hand the honor it is to share in the most intimate family moments. Tara is a trained birth and postpartum doula with over 10 years of experience serving families as a doula and midwifery assistant. She gained her first birth experiences as a volunteer doula at a freestanding birthing center in South Texas, followed by an intensive midwifery preceptorship at a rural clinic in Senegal. Since then, she has organized a community childbirth education group, assisted midwives at homebirths, and helped new parents to thrive as a doula. Whether practicing comfort measures with a pregnant couple, helping a mom keep her strength through a long labor, or working with a new baby to develop a comfortable latch, she is dedicated to supporting parents from conception through the first hard, rewarding year as a new family. She is currently pursuing her nursing degree with plans to continue serving growing families as an RN in 2021. Tara is the mother of 3-year-old twin girls who light up her world. Heather has been a DONA trained postpartum doula for eight years and became certified in 2014. She also has a bachelor’s degree in Cross-Cultural Studies and works as a doula for at-risk expectant and new moms through the nonprofit Pettaway Pursuit Foundation. Heather became interested in supporting new moms and families after giving birth to her first baby while living overseas and experiencing the difference it made to have her own mother’s support. Her passion is to help new parents find their own way forward as a family by acting as a calm, supportive presence. Heather believes each parent is unique and makes the choices that are best for their family but also that parenting works best when we don’t do it in isolation. She is always looking for opportunities to build her knowledge and skills in areas of concern to new parents such as breastfeeding, sleep, and mental health. Heather is currently finishing up her certification as a Sleep Savvy Infant and Toddler Sleep Educator and Consultant and is excited to help families optimize upon their sleep during the demanding time of raising a family. Becca Brendler, an ever-evolving creative celebrating the human experience, is Joyful Birthing’s photographer. She’s a mother of twins, family and life-style photographer, yoga/mindfulness teacher, and celebrated stylist. Becca’s photography career can be dated back to 1993 when she found and connected instantly with film and the magic of her summer camp’s dark room. Forever interested in the beauty of human interaction, the stillness of moments and having the ability to freeze history in the making, Becca never stopped learning about the technicalities of photography as an art form. She studied all through high-school and continued her learning as she studied abroad in Italy. Becca believes that as parents we are raising our young families in a world of beautiful chaos; each image she captures is her artistic approach to finding the slowness and beauty in life. Her goal is to listen to families and help them to preserve the ever-changing, too-fast-paced world of family life, childhood and innocence.